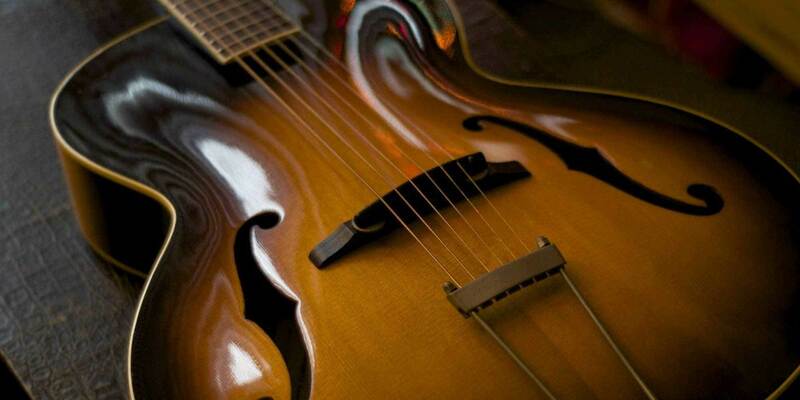 Not long ago, we checked out a bunch of 16-inch, full-depth acoustic archtops. In response, a reader requested that we cover fully-hollow thinlines — electric guitars with bodies generally fewer than two inches deep. We’re glad he asked about this style of guitar, which essentially is the underdog of hollowbodies. 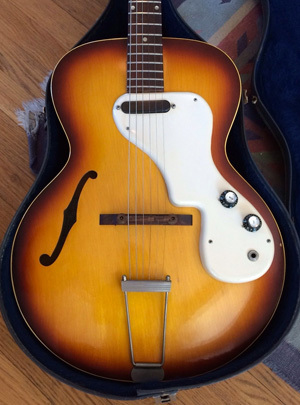 In the 1950s and ’60s, Epiphone offered thinline electrics with stately names like the Windsor, the Sorrento and the Casino, while Gibson produced numerically named models, the ES-125T, the ES-225 and the ES-330. 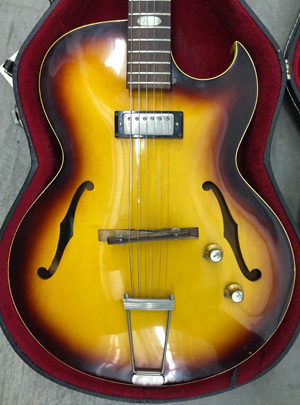 But these streamlined instruments were never as popular as semi-solid thinlines like Gibson’s ES-335, whose center block rejected feedback and made the guitar more practical for loud situations. These days, more thinlines have center blocks than not. 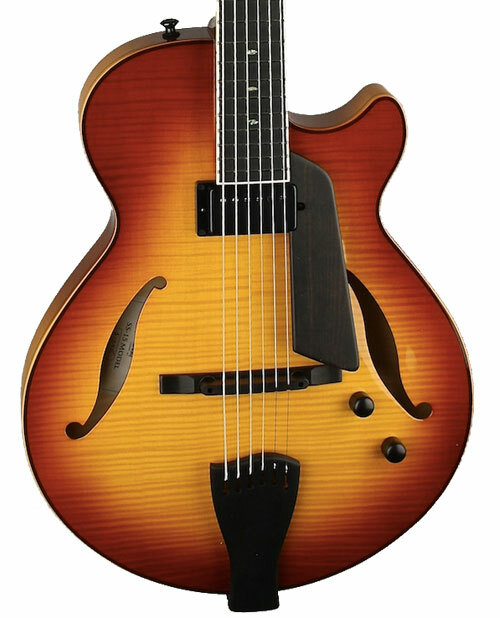 But there are nice fully-hollow examples to be had at every price point, some traditional and others with modern upgrades, some more all-purpose and others more jazz boxes — all with characteristic warm, woody sounds that can’t be had from other types of electric guitars. Let’s have a look at a handful of specimens. 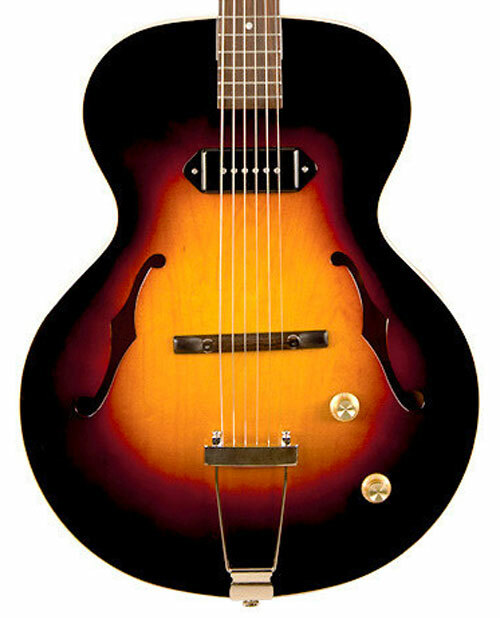 The Loar has a couple of thinlines patterned after different iterations of Gibson’s ES-125T. There’s the non-cutaway LH-301T ($499 street), with a single P-90 pickup; and the LH-302 ($599), with a Florentine cutaway and a pair of P-90s — each selling for a fraction of the price of a clean vintage example. These simple designs can cover a wide range of sonic territory, from traditional jazz to swampy crunch. 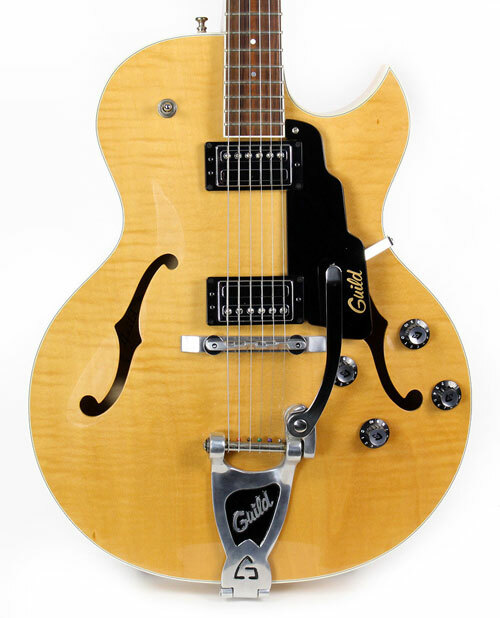 Gibson’s double-cutaway ES-330 might look a lot like the ES-335, but the two guitars are different animals. 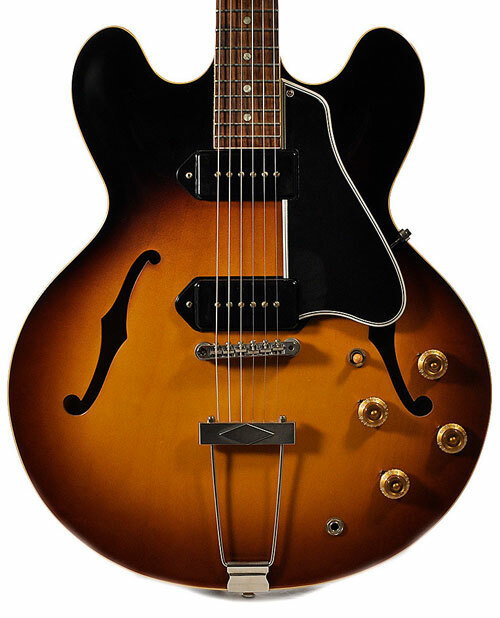 The most significant differences: the ES-330 is fully hollow, while the ES-335 is semi-hollow, with a maple block in the center of its body; the ES-330 is equipped with one or two P-90s, while the ES-335 has twin humbuckers. Epiphone’s version of the ES-330, the Casino, which the Beatles made excellent use of, is available as a very good budget reissue for $599; and Gibson’s note-perfect recreation of its original 1959 version streets in the mid-$3,000s. Eastman offers a range of fully-hollow thinline electrics. 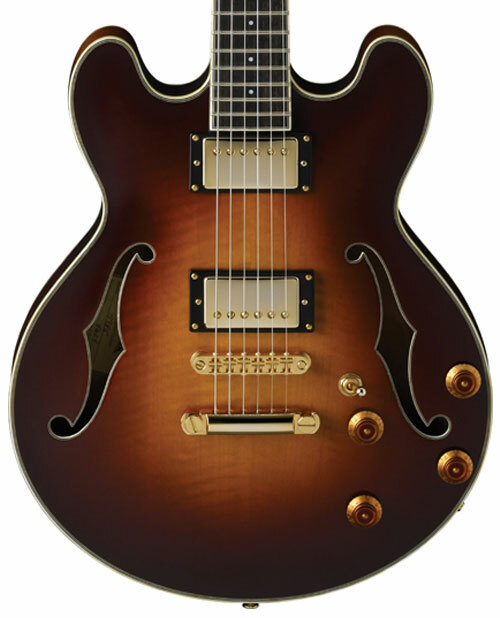 The T184MX-CS ($1,640) looks traditional with its dark sunburst finish, but has some interesting departures. Its lower bout is a trim 14 inches rather than the more common 16; it’s made from solid carved mahogany and maple, and it’s outfitted with a pair of Seymour Duncan 59 humbuckers, making it a super versatile thinline. 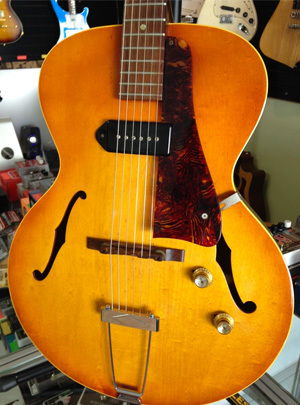 Guild offers a few different thinline hollowbodies. 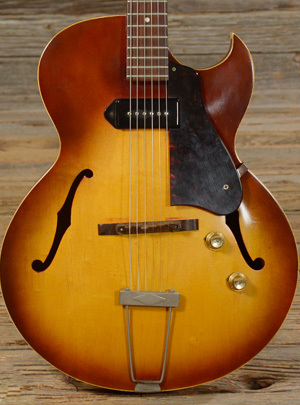 Among others, the noncutaway T-50 Slim ($979.99) is similar to a 1960s model; it features a P-90–style pickup and Guild’s iconic “harp” tailpiece. More rock-oriented is the Starfire III ($1,099.99), with its Florentine cutaway, two mini humbuckers and Bigsby-style vibrato tailpiece. The SS-15 by Sadowsky ($4575) is a small, laminated-wood thinline, with a 14.75-inch-wide lower bout, designed to fit easily into overhead compartments on airplanes. It’s engineered to have an immediate acoustic response and is outfitted with a single PAF-style pickup — a smart tool for the working jazz musician. 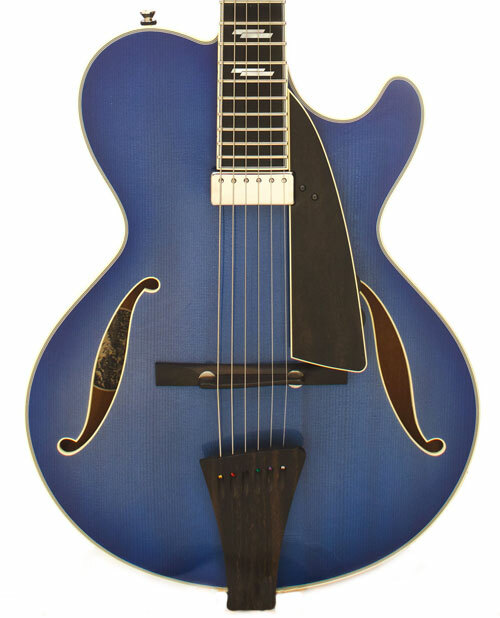 Collings offers a luxurious thinline in its City Limits Jazz (around $8,500 street), which pairs a fully-hollow mahogany body with a carved spruce top. The guitar comes standard with deluxe appointments like an ebony pickguard and tailpiece and a floating Lollar Johnny Smith humbucker. As the name suggests, the guitar is intended for jazz, but it lends itself to any situation calling for that warm and woody sound. Just as recent years have seen a renewed interest in smaller-bodied flattops, the 16-inch non-cutaway acoustic archtop, once regarded as outmoded, is also being reexamined. Here's a look at some of our favorites. John Lennon can be seen playing his Epiphone Casino in the Beatles’ farewell concert. Marc Ribot, leading his ensemble Los Cubanos Postizos, plays a vintage Gibson ES-125TCD.